Diversity and inclusion can vary by industry. For example, positions within certain industries, such as healthcare, are primarily held by women, whereas, technology positions are occupied largely by men. In fact, 76% of the technology jobs are held by men, with 95% of the team being Caucasian. According to an article published in the Harvard Business Review, states that “non-homogenous teams are simply smarter.” And noted that, a study published in Innovation: Management, Policy & Practice, found “that companies with more women were more likely to introduce radical new innovations into the market over a two-year period.” In addition to the evidence that diversity and inclusion are good business practices, we believe it is also a good people practice. Here are some of the lessons we’ve learned and solutions we’ve implemented. In 2018, we started recruiting at the University of Georgia for our new Elevate program, an entry-level program that hires and trains recent graduates on Salesforce Consulting. In our first outreach, we received resumes primarily from Caucasian males. As a result, we wondered how we could increase the diversity of our candidates. As a result, we evaluated and modified our job descriptions to increase the likelihood of attracting diverse candidates. We were happy to receive more than 50 resumes from individuals with diverse backgrounds. Our modifications drew in 4 times as many women and 2 times as many underrepresented minorities. People often say that the definition of insanity is doing the same thing and expecting different results. Our efforts to recruit and hire a diverse workforce are constrained by the number of diverse candidates. In an effort to work toward a long-term solution, we are building relationships with organizations who support inclusivity. Recently, our team spoke to the UGA Women in Technology Chapter about navigating a career in the tech industry, balancing work and family, and breaking down organizational biases they may encounter. We are in the planning stage to hold similar events on campuses across the Southeast. 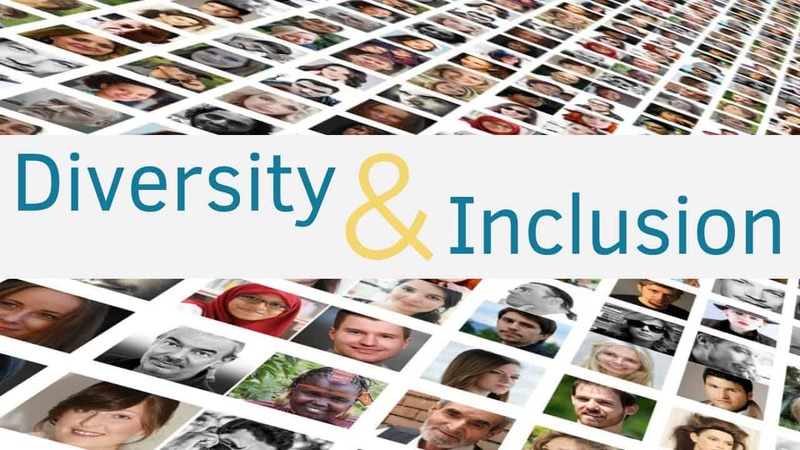 Diversity isn’t a checkbox for AdVic. While worthwhile and valuable as a KPI, it needs to be more, and mean more. Diversity attempts often fail. They failed because they focus only on diversity while forgetting inclusion. Respecting each other, listening to ideas, including each other in conversations and decisions, that what is true inclusion. Many of us don’t notice the world outside of our own. We often journey robotically through our daily routines; wake up, drop off the kids, go to work, dinner, activities, bed … repeat. The Ad Victoriam Solutions (AdVic) team stepped away from their daily routine of supporting our clients, to support our troops. Our troops leave their spouses, children, friends and jobs to answer the call to something much bigger than themselves. The AdVic Georgia-based team assembled a large care package for our troops deployed overseas. 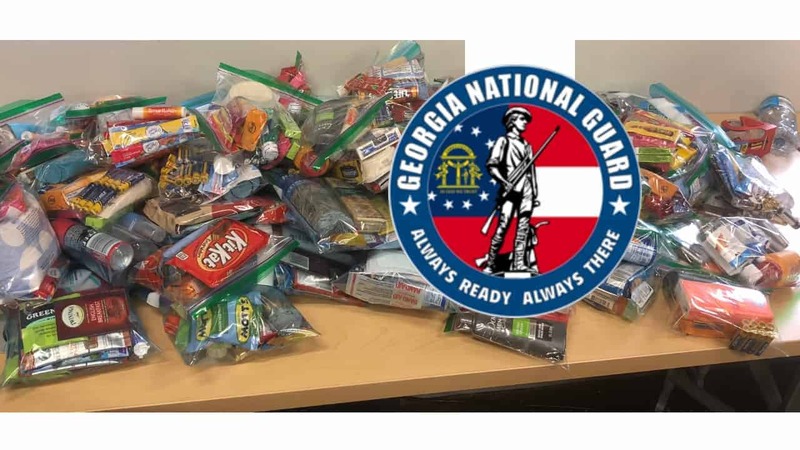 The team purchased and shipped more than 75 pounds of essential goodies, such as razors, mouthwash, shampoo, and lotion and also some basic comforts of home, gum, candy, playing cards and beef jerky to the Georgia National Guard’s 48th Infantry Brigade Combat Team deployed abroad. We chose this particular combat team to support our our CTO, Brian Mize, who currently serves as their Battalion Chaplain to their more than 14,000 soldiers. Mize helps soldiers adjust to life overseas, providing guidance and counseling to our brave men and women protecting our freedom and the freedom of the local people. We want Mize to know how much he is missed, and hope that sending Mize goods to distribute to his Battalion will help him accomplish his mission as Chaplain. If you or your company would like to organize a similar event to support our troops, contact us, we would be happy to help. 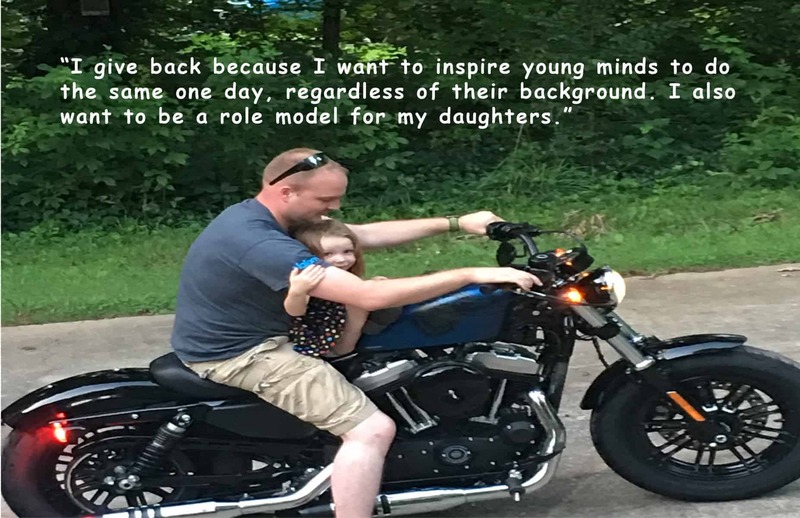 Working in the Salesforce ecosystem, you come across many inspiring stories. Meaghan Bookers’s story is one of them. 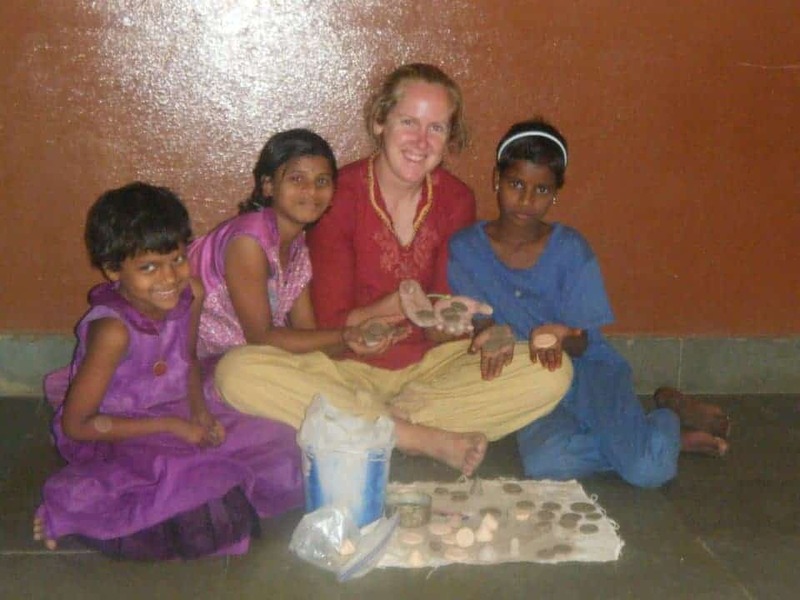 Before stumbling across Salesforce, she spent 6 months living in India as a volunteer and the year after, she taught in an alternative school for at-risk students in Colorado. Take a moment to hear about how Meaghan’s journey to Salesforce and Ad Victoriam Solutions enabled her to combine career success with her passion for having an impact on the world. When were you first introduced to Salesforce? My first employer after teaching utilized Salesforce and I was asked to manage the platform – it was assigned to me after their admin left. It was a “learn under fire” experience. But, it was total luck, and good timing. I fell in love with the versatility of the platform and quickly wanted to dive deeper into the system. I became a sponge, soaking up as much as I could, and always wanting to learn more about how it worked. What do you like most about the platform? You can do so many different things with Salesforce and it is so user friendly. And, the biggest thing for me was the free training they provide through Trailhead. It has been incredibly helpful as I grow my skillset, while also developing and learning on the platform through consulting work. Did Salesforce change your career trajectory? Definitely! It opened the door to the tech world without me having a tech degree. I’ve pursued this career path because it’s been a really fun career. Solving problems and creating solutions that help companies is so rewarding and motivating for me. And because I am passionate (to the core) about giving back, I proudly drink the Salesforce 1-1-1 (1% equity donated, 1% volunteer time donated, 1% profits donated) Kool-Aid. Love the fact that they are so dedicated to having an impact. What attracted you to Ad Victoriam Solutions? Ad Victoriam is a B Corp and because I had previously worked for another B Corp and knew what they stand for, this became a major selling point. In addition, throughout the interview process, I met so many people who were kind, passionate and professional. They embodied my expectations. This made me want to be a part of what they were building. I am proud to be part of the B Corp movement and thrilled I can continue my new exciting career with a company that culturally fits me. 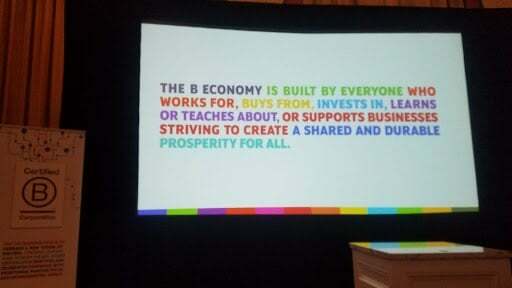 B Corp is built by people who own companies and believe that it is important to make money, sure. But, it is also important to be a good person in this world. And the fact that they are willing to donate their talents and resources, and also support their employees while they volunteer, is incredible. I am so energized to re-engage with my local B Corp community and build the Ad Victoriam “B Brand” in the Rocky Mountain State. Join our complimentary 20-minute webinar on Salesforce Lightning. Furthering our B Corp purpose-driven mission to be a force for good, Ad Victoriam joined other Certified B Corporations in New Orleans to further our purpose-driven mission to be a force for good and to accomplish three goals. We’ve returned and hope the following wisdom we experienced inspires you to consider joining the movement to work toward a better world. Growing B Corp in Georgia. While not all the Georgia B Corps attend the retreat, we connected with Tripp Pomeroy, President of Café Campesino. His company gives back to Central and South America communities where his sustainable coffee beans are grown. We also met Mike Mannina from Thrive Farmers, a sustainable coffee roaster in Georgia. As a result, we have grown our B Local group to six members, held our first meeting, and planned our second. New B Corp Lessons. We embarked on this trip, in part, to meet many of the folks who have helped us along our journey and to expand our B Corp Network. Every breakfast table, breakout session, and happy hour was filled with folks willing to share their story. A session of charitable giving practices led by Givily CEO Amy Kauffman led to a revamping of our corporate mission and an updated charitable plan for 2019. Another session on leadership and activities sparked a wealth of ideas on both employee empowerment and developing Ad Victoriam’s next generation of leadership. We talked about emotions in the workplace, the importance of providing a safe space for feedback and having “difficult” conversations. Implementing the best practices shared within our company will positively impact our team members and clients as we move forward. Raising the B Corp Bar in 2019. After listening to Gareth Hedges of Redwoods Group, who walked us through their journey to successfully navigate the 2018 Inclusive Economy Challenge, we signed up for the challenge! He spoke of creative team events and exercises, training programs, an unrelenting focus on increasing charitable work. His talk inspired us. We are now up for the challenge! This was an incredible experience for us as a new B Corp. We pledge to do more this next year. Do more in our communities. Do more for our employees. Do more for our planet. We would be happy to speak with you about possibly becoming a Certified B Corporation, especially if you are located in the Atlanta area. If interested, please reach out to our Community Engagement Director, Nathan Stuck. Some people give back. And some people—like Daniel Mulkey—give back a lot. Daniel, an Army Veteran who completed a tour in Afghanistan, continues his passion to serve others in his home state of Georgia. This year already, Daniel has organized multiple charity events to raise money for social causes. Here are just a few examples. Daniel spearheaded a team of volunteers to support the Georgia Child Identification Program at the Strawberry Festival at Payne Farms. 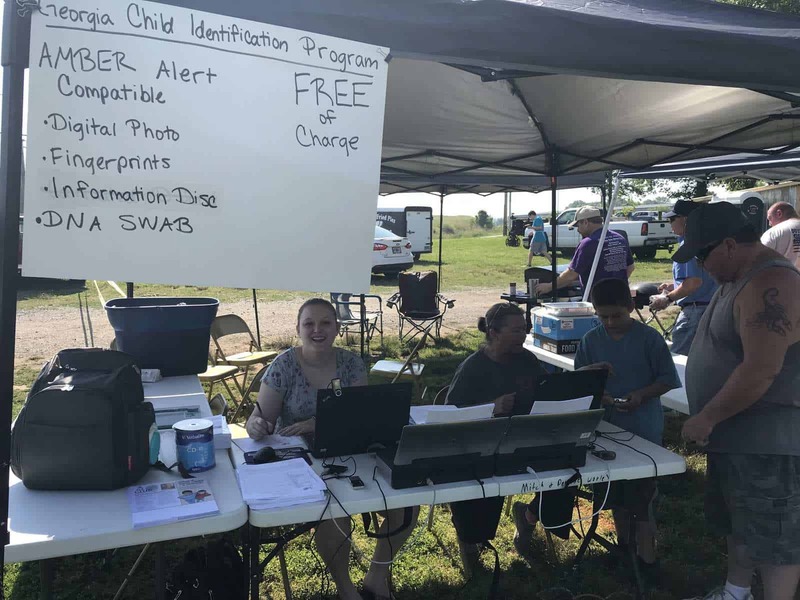 The volunteers gathered fingerprints, digital photos, and DNA swabs from children to register them in the Amber Alert database. This information is vital to law enforcement officers who facilitate the safe return of children in the case they go missing. At this same event, Daniel organized a charity fundraiser that raised medical funds for a wounded veteran to help him to literally, get back on his feet. And most recently, Daniel helped organize the 11th Annual Plainville Masonic Lodge Motorcycle Ride. 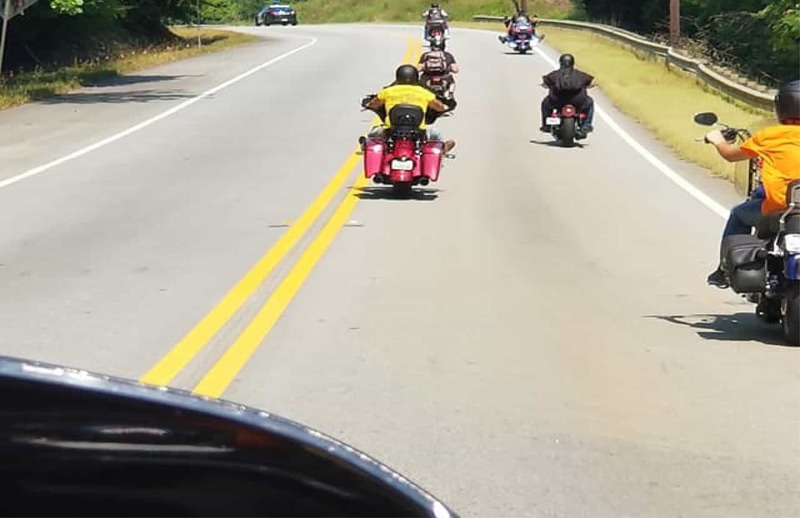 With Ad Victoriam as their top sponsor, Daniel and 12 other bikers rode 100 miles through beautiful North Georgia to raise money for the Masonic Home of Georgia. The home provides an educational and stable living environment to young children in need and reinvests its charity funds into the local communities to aid families with holiday meals, coats and shoes for children. We’re honored to have Daniel on our consulting team as he symbolizes the culture Ad Victoriam fosters through our commitment to being a B Corp. In addition to doing good for the world, our Salesforce Consultants work as a dedicated, innovative team, taking on your business challenges. It is our belief that technology should not limit your capabilities or success. Instead, it should accelerate your achievements so your business can take strategic leaps that land you where your vision can take you. Contact us to learn how we can help you and your business thrive. Three days. 180 miles. From the mountains to the sea for charity. Todd Giddens rode in the 34th annual Trek Across Maine to help raise more than $900,000 for the American Lung Association (ALA). ALA is a non-profit organization that funds research for lung diseases including lung cancer, COPD and asthma. “I have always been passionate about cycling,” Giddens shared. 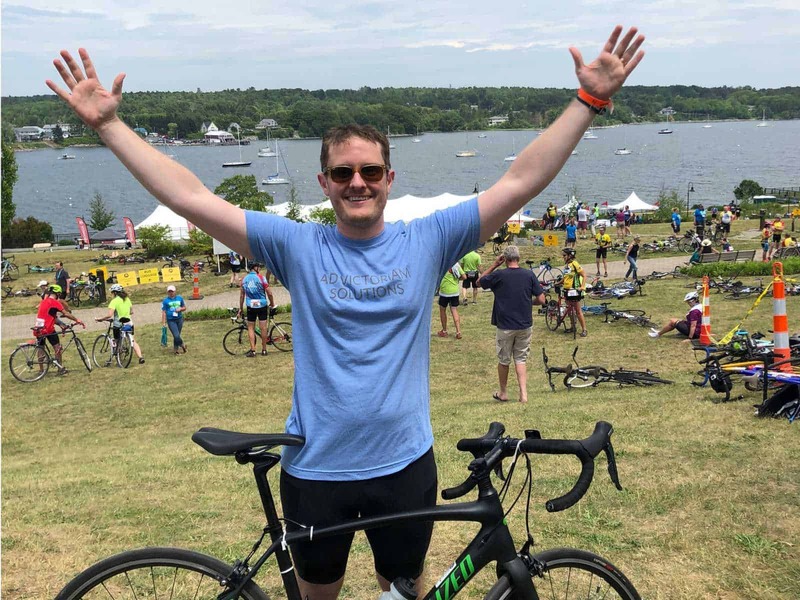 “The Trek Across Maine offered a unique opportunity for me to experience a new part of the country while raising money for a wonderful charity,” added Giddens, an Ad Victoriam Solutions Salesforce Consultant. The bike ride started Friday in the mountains of western Maine and finished Sunday evening in the coastal city of Belfast. Winding through quiet country roads, the cyclists descended more than 3,000 feet during their journey to support ALA. In addition to his love for cycling, Todd was inspired to ride for this particular charity. Todd stated that, “Lung cancer is the number one cancer related killer for both men and women. Lung disease is the third leading cause of death.” He continued, “My wife Amelia and I raised $1,200 supporting the cause in memory of loved ones affected by lung illnesses.” For Todd, the trek was personal. In addition to doing good for the world, our Ad Victoriam Solutions Consultants work as a dedicated, innovative team, taking on your Salesforce challenges. We are Salesforce cloud and data consultants who customize our approach to meet your unique methodologies for increased efficiency, accelerated productivity and scalability. Contact us to learn how we can help your business thrive. Being part of something bigger than yourself gives meaning and multiplies social impact. While we work hard at Ad Victoriam to provide Salesforce Consulting services to our clients, it’s not the only thing we have on our minds. 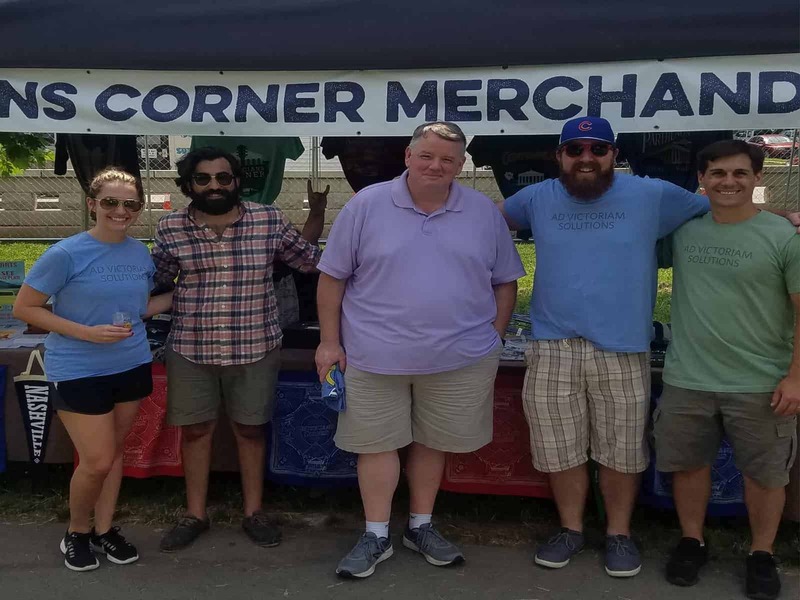 Our Nashville-based team joined forces for good this weekend by volunteering at the Musicians Corner in Centennial Park. Musicians Corner, a summer-long event, features more than 100 artists and attracts about 75,000 residents to raise money for The Conservancy of the Parthenon and Centennial Park. The Conservancy provides cultural and educational programs throughout the year. We were assigned our responsibilities for the day. 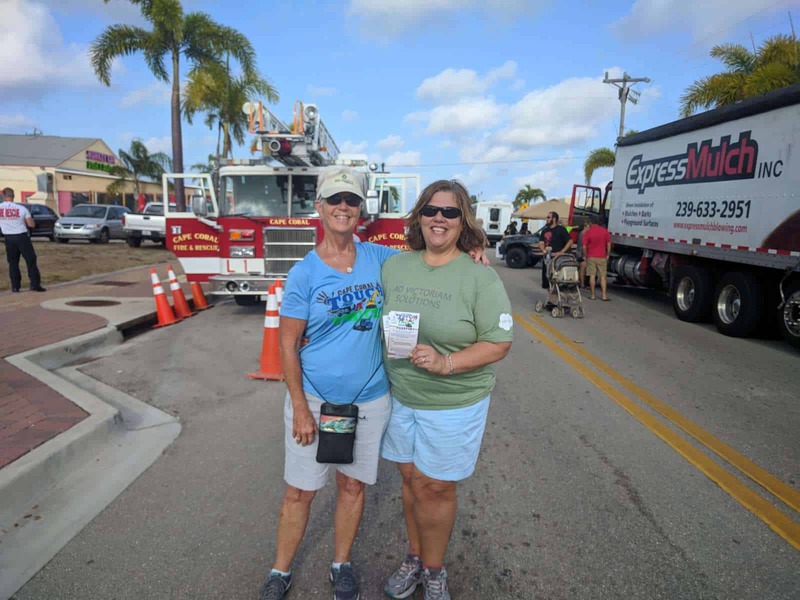 We worked the merchandise tent, the parking lot, and, the lucky ones were assigned near the stage collecting surveys, where acts like The Aquaducks, Lasso Spells, and The Weeks entertained everyone in attendance. As a group, the Ad Victoriam Solutions team volunteered 35 hours to help the Conservancy keep event costs down, enabling them to reinvest those fundraising dollars back into their philanthropic mission. And after our shift was over and a drink was poured, we reflected on a job well done, the pride we take in giving back, and the plans for our next event, where we’ll continue on our B Corp mission to be a force for good. The countdown is on! In less than two weeks, Ad Victoriam will attend the Global B Corp Summit in beautiful Amsterdam! Our consulting team has spent many hours walking trade show floors, but this B Corp conference will be a different experience. B Corporations focus on purpose rather than profit, so the B Corp Summit is an opportunity for certified B Corps around the world to share ideas and best practices on inclusivity, sustainability, and how to truly be a force for good. We’re enthusiastic about learning from these industry leaders and bringing their lessons back home with us, to both strengthen our footprint and to encourage others to join the movement. Improving our Impact. This is our first year as a B Corp and we’re thrilled to meet the other companies that are committed to this movement. These companies have years of experience using business as a force for good and can enlighten us on ways to do even more. Strengthening Employee Involvement. One of the breakout sessions will focus on stakeholder alignment and individual employee contributions to company values and missions. As you probably know, one of the biggest hurdles to corporate social responsibility initiatives is educating your employees on how and why they should get involved. Branding with the Best. Since our accreditation, we have worked on how to best align our brand with our B Corp mission. The summit will offer two sessions led by international marketing agencies focused on branding corporate social responsibility. Getting Plugged into the B Corp Community. When we talk to other B Corps about improving our impact and strengthening our commitment to all stakeholders, the most frequent advice is to start attending events like the B Corp Summit. 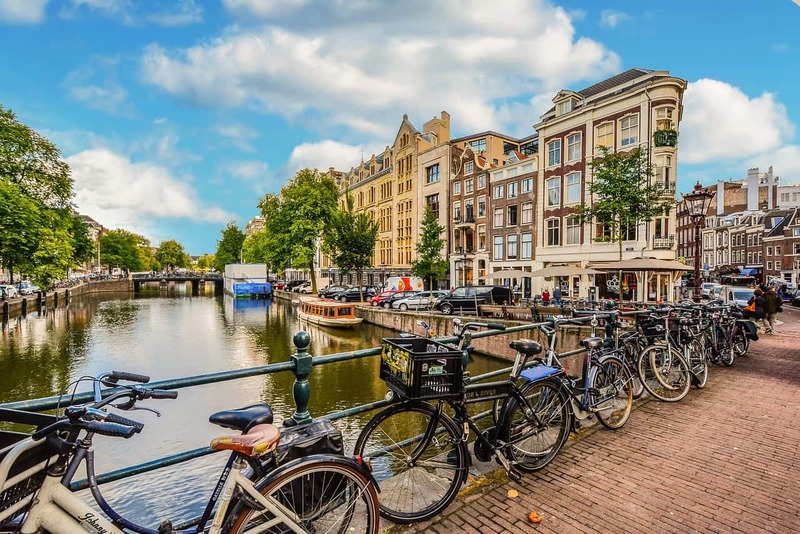 What better place to start than scenic Amsterdam? We’ll be posting the lessons we learn to share with our followers on social media, so be sure to follow us on LinkedIn, Twitter, or Facebook and don’t miss a minute of the B Corp Summit! And if you’re curious about why we became a B Corp or about the B Corp process, please reach out and connect. We’re happy to answer any questions you may have. Maybe next year you can join us at the B Corp Summit! B Corps are for-profit companies certified by the nonprofit B Lab to meet rigorous standards of social and environmental performance, accountability, and transparency. Today, Ad Victoriam Solutions, along with the more than 2,200 other B Corps around the globe, is working toward one unifying goal — to redefine success in business. 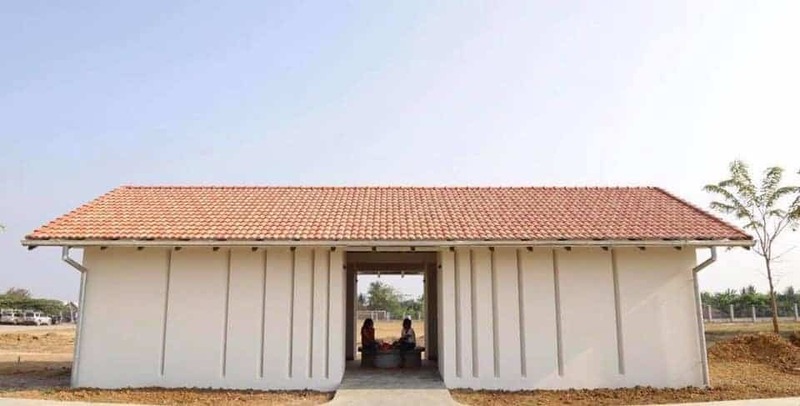 100 Fold Studio is a nonprofit architecture firm providing affordable and innovative design services to charitable organizations around the world. They empower architects, designers, and other professionals to design safe, efficient, and inspiring structures in developing countries for all, regardless of religion, ethnicity or tradition. David Litton, the 2017 Top Salesforce Influencer of the Year, has volunteered about 120 Salesforce CRM consulting hours to support 100 Fold Studio’s mission. David became aware of 100 Fold Studio in 2013 when they shared their mission at his church in Birmingham. Being an expert at Salesforce CRM consulting and inspired by their cause, he was delighted to hear that the CRM they use is Salesforce Sales Cloud. 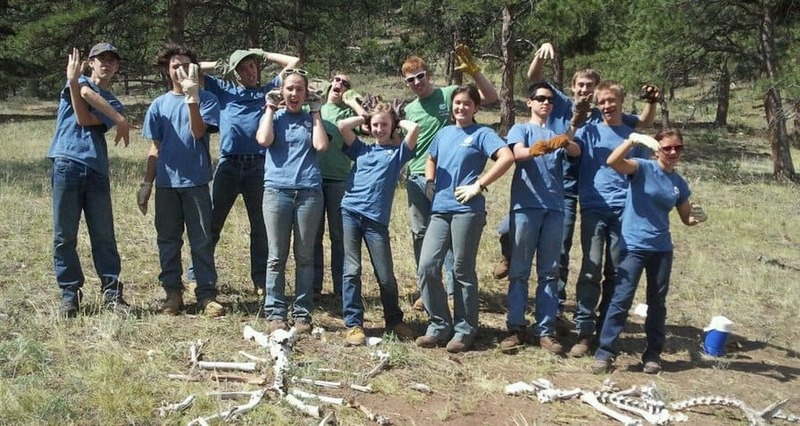 He began volunteering in 2014, and after joining Ad Victoriam Solutions, he was able to utilize Ad Victoriam’s generous volunteer PTO days to take his first of two trips to Montana where 100 Fold Studio is based to assist them onsite. He got to see their mission in action first hand. David’s goal was to improve their Salesforce CRM utilization. David had an impact in three noteworthy ways. First, he reconciled rollup calculations which allows them to distribute their year-end receipts to donors ten times faster. The second biggest impact related to donation management. He streamlined the search and donation entry process by implementing a guided flow. This system modification increased the accuracy and speed of their donation allocation process. Lastly, David provided CRM training for their Salesforce Administrator, enabling her to manage their Salesforce Sales Cloud and complete her tasks independently. David’s dedication hasn’t stopped, he continues to volunteer for 100 Fold Studio today. Nancy Behrend, an Ad Victoriam Solutions Salesforce CRM Analyst, is doing exactly what Yoko Ono said, being herself. After Hurricane Irma left a wake of destruction in its path last August, a light emerged. The storm inspired Nancy and a group of almost 39 other caring women to donate food and supplies to their Florida neighbors. While the generosity of supporters was overwhelming at that time, this was just the beginning for Nancy and her group. In the past three months alone, they’ve donated more than 1730 pounds of food, personal products and household supplies to the Cape Coral Caring Center. The Caring Center, which has served more than 70,000 people, provides temporary guidance, financial support and grocery items to those who temporarily find themselves in an economic strain. In addition to their regular weekly donation, her group provides needed food for children when schools are out of session and gifts that bring joy to children during the holidays. Thank you, Nancy, for being yourself, and turning the darkness of the storm into a lasting light.